Xiaomi is known for its Mijia Rice Cookers in China, which has great features on how to cook rice. 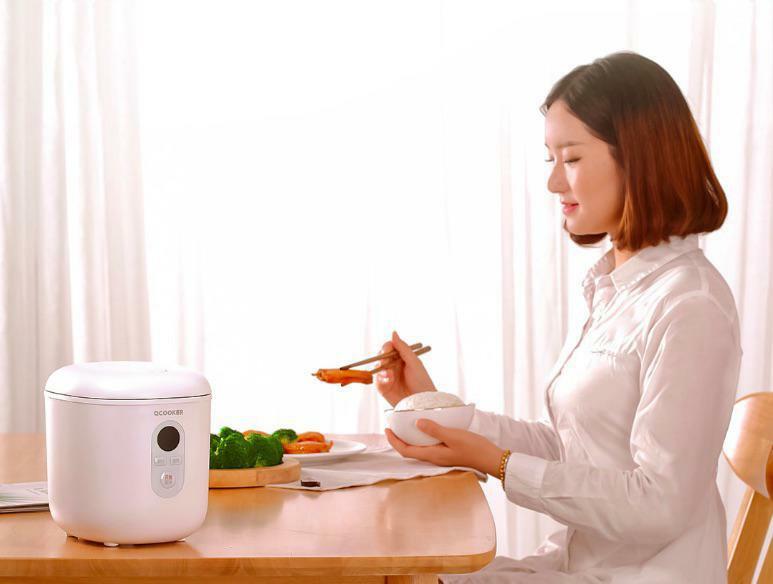 Given that rice is a major part of the meal in Asian countries, smart rice cookers will be more popular among people in the coming years. Xiaomi now has three sizes of rice cookers with a maximum capacity of 4 liters and the smallest of 3 liters. The cheapest ones are priced at around $ 55, which is very convenient. However, if you're not taking a lot of rice, spending $ 50 for a smart cookie may not be logical. xiaomi youpin crowdfunding platform has just unveiled a new smart wrapper. What makes it special is its ultra-compact size and its 1.2-liter capacity. This amount is enough for 1-2 people, and if you live alone or have a couple, this is quite appropriate. The official description says the xiaomi mini cooker can cook up to 3 bowls of rice per serving. The xiaomi mini cooker is coupled with an internal NTC temperature sensor for accurate temperature measurement, monitoring of rice at the moment and low power consumption of 300 watts. Unlike Mijia Rice cookers, which can be a bit of trouble working with them, the OCooker control panel with options such as cooking mode, juicer mode, timer, cooking with a button and a basic heating mode, working with It makes it very simple. The xiaomi mini cooker is priced at 199 yuan ($ 28).